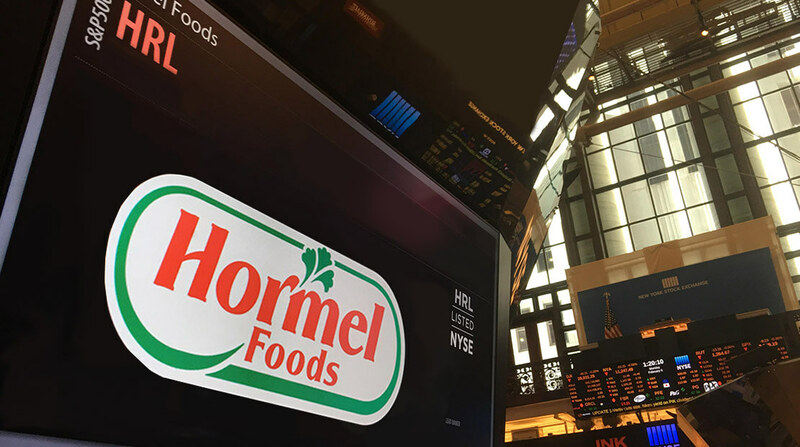 The Board of Directors of Hormel Foods Corporation (NYSE: HRL), a multinational marketer of consumer-branded food and meat products, today announced a 16 percent increase to the annual dividend to shareholders, marking the 50th consecutive annual dividend increase. The annual dividend on the common stock of the corporation was raised to $1.16 per share from $1.00 per share. The Board of Directors authorized the first quarterly dividend of twenty-nine cents (29¢) a share to be paid on Feb. 16, 2016, to stockholders of record at the close of business on Jan. 19, 2016. The Feb. 16 payment will be the 350th consecutive quarterly dividend paid by the company. Since becoming a public company in 1928, Hormel Foods Corporation has paid a regular quarterly dividend without interruption. Hormel Foods Achieves Record Fourth Quarter and Full Year Results Hormel Foods reported record performance for the fiscal year 2015 fourth quarter and full year.